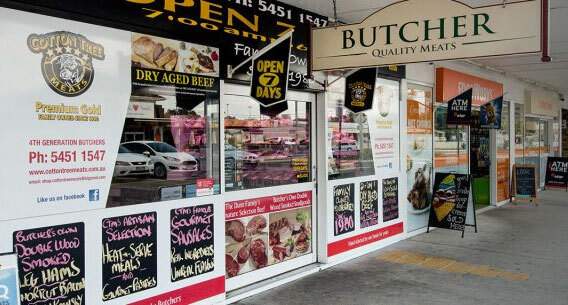 In 1980 Jeff Dunn completed his butchering apprenticeship at Cotton Tree Meats. Jeff and wife Toni then went on to buy Cotton Tree Meats in 1982. Since then the Dunn family has provided the Sunshine Coast with the finest and freshest locally sourced meat with quality customer service that locals love. Cotton Tree Meats was expanding and in 1995 Jeff and Toni decided to move the shop into a bigger location on King Street. This was the beginning of expanding the company with an ambition to sell wholesale to restaurants, pubs and clubs. During this time Jeff and Toni were in the midst of raising their three sons and daughter. By the time 2006 had rolled around all of Jeff’s sons Luke, Brent and Robert had now started working for Cotton Tree Meats becoming the 4th generation of Dunn butchers. 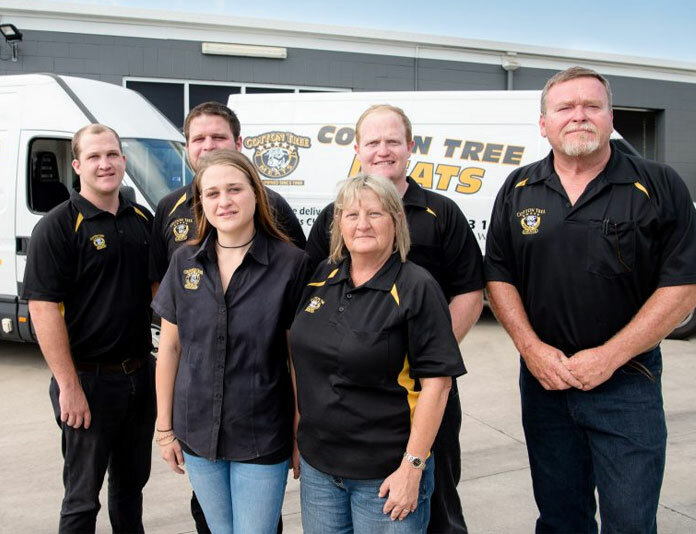 As the wholesale was substantially growing from the shop in Cotton Tree and his sons were taking on even more of the family’s business, it was time for another massive change. They bought a premise in Kayleigh Drive, Maroochydore where they erected a purpose built, state of the art wholesale factory. The retail shop would still operate out of Cotton Tree. By 2010 Luke, Brent and Rob all took on managing positions in different parts of the business. It was now time for his daughter Samantha to become part of the business working in the office. So it would be safe to say that they are a family business. Of all the changes that Cotton Tree Meats has seen over the years, it would never have been possible without the support from the locals on the Sunshine Coast and further afield. Jeff & Toni are very proud of what has been achieved since starting out in 1980 and know the company is going to be in good hands moving forward. Cotton Tree Meats continues to be a family run business with Luke, Brent, Rob and Samantha all holding key roles in the day to day operations. Cotton Tree Meats has built and maintained a reputation as one of the best butchers on the Sunshine Coast, providing locals with the freshest and finest meat available, with customer service to match.